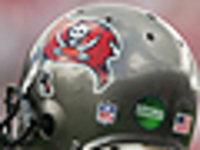 Visit the Buccaneers' official website for your daily fix of team information. Reggie Cobb, a longtime scout for the San Francisco 49ers and former NFL running back, died at the age of 50, the Niners announced Saturday. Gerald McCoy remains away from the Bucs during offseason workouts. While Bruce Arians seemed noncommittal about McCoy in March, GM Jason Licht isn't concerned about McCoy's absence. The Buccaneers hired former NFL side judge Larry Rose as an officiating consultant. Rose will help Bucs players and coaches with rule interpretation and replay challenge decisions. Tampa Bay quarterback Jameis Winston has high hopes and expectations for tight end O.J. Howard, whose 2018 season showcased his next-level talents before it was derailed by injury. Veteran wide receiver Mike Evans believes the Buccaneers have the talent to remain one of the league's top receiving groups despite the loses of DeSean Jackson and Adam Humphries. Veteran defensive tackle Gerald McCoy was not present Monday as the Buccaneers began voluntary workouts. His absence is notable given coach Bruce Arians' recent critique of McCoy. The Buccaneers have had three coaching changes and just one winning season since Jason Licht took over as general manager. Bucs co-chairman Joel Glazer pointed to keeping continuity for Licht's return. New Tampa Bay Buccaneers head coach Bruce Arians thinks receiver Chris Godwin will have a big 2019 campaign. Arians said Godwin will be "close to a 100-catch guy." Tampa Bay quarterback Jameis Winston is aiming to play the upcoming season at a heavier 250 pounds and new coach Bruce Arians is fine with it as long as he doesn't limit his signal-caller. Reports out of Tampa Bay hint that DeSean Jackson could be on the move soon via trade, and the same rumor point to the deep threat going back to the team that originally drafted him. Buccaneers quarterback Jameis Winston said Friday on NFL Total Access that he hopes receiver DeSean Jackson will be back with Tampa Bay. The Tampa Bay Buccaneers announced they have picked up the 2019 contract option on right tackle Demar Dotson. He is due $4.725 million in 2019. Buccaneers head coach Bruce Arians says he is planning to create a full-time coaching position for women. Arians hired Jen Welter to serve as an assistant coach in 2015, while with the Cardinals. 4/10 Orion Stewart (DB) Free Agent Signing (free agent signing). 4/4 Nick Thurman (DE) Free Agent Signing (free agent signing). 4/1 Michael Liedtke (OG) Exclusive Rights Signing (exclusive rights signing). 4/1 Isaiah Johnson (FS) Exclusive Rights Signing (exclusive rights signing). Dirk Koetter was named the 11th head coach in franchise history on January 15, 2016. He is in his second season with the team, after serving as offensive coordinator in 2015. In his first season with Tampa Bay (2015), Koetter helped pilot one of the most successful offenses in the NFL and one of the best in team history. The team set the franchise record for total yards (6,014 â€“ 357.0 per game), while posting the second-most rushing yards (2,162 â€“ 135.1 per game) and second-most passing yards (3,852 â€“ 240.8 per game), along with the fifth-most total points (342 â€“ 21.4 per game). Tampa Bay ranked fifth in the NFL in yards per game (375.9), fifth in rushing yards per game (135.1) and second in the league in rush average (4.75). It marked the first time in franchise history that the Buccaneers have finished in the Top five in total offense. Much of Tampa Bayâ€™s offensive success in 2015 came at the hands of rookie quarterback Jameis Winston, who accounted for 28 total touchdowns (22 passing, six rushing). Koetter also helped guide Winston to 4,042 passing yards, which were the second-most in a single season in team history and the third-most by a rookie in NFL history. Winstonâ€™s 22 passing touchdowns were tied for the fourth-most in a single season in team history and the fourth-most by a rookie in NFL history. His six rushing touchdowns and 28 combined touchdowns were the most in a single season by a Buccaneers quarterback, while his 28 total touchdowns were tied for the third-most by a rookie in NFL history. Prior to Koetterâ€™s arrival, the Buccaneers ranked 29th in rushing and tied for 29th in sacks allowed in 2014. This past season, under Koetterâ€™s guidance, the unit completed an impressive turnaround. Despite starting two rookies on the offensive line, Tampa Bay still managed to block for the NFLâ€™s second-leading rusher (Doug Martin â€“ 1,402 yards) and tied for the fourth-fewest sacks in the league. While Martin was a large part of the teamâ€™s success running the ball, he was aided by running back Charles Sims, who totaled 1,090 scrimmage yards (107 rushes for 529 yards, 51 catches for 561 yards). Sims averaged 6.9 yards per touch, the most by any player in the NFL with at least 150 touches since 2011 (Darren Sproles in 2011, 7.6 avg.). Martin and Simsâ€™ combined 2,566 yards from scrimmage were the most by a running back duo in the NFL in 2015 and set a franchise record for backfield teammates. Koetter also played a key role in revamping the Buccaneersâ€™ passing game. Part of the teamâ€™s success passing the ball came from targeting top wide receiver Mike Evans, who caught 74 passes for 1,206 yards. His 1,206 yards are the seventh-most in a single season in team history and stood as the 11th-most in the league last season. Simsâ€™ 561 receiving yards were the fourth-most by a running back in the NFL in 2015, while his four receiving touchdowns set a franchise record and tied for the second-most in the league by a running back. Koetter joined the Buccaneers after three seasons working as the offensive coordinator for the Atlanta Falcons (2012-14). During his three seasons with Atlanta, the team cumulatively ranked second in the NFL in completion percentage (67.4), third in third-down conversion percentage (44.1), fourth in passing yards (277.2 per game), ninth in passing touchdowns (86), ninth in passer rating (93.9), 10th in points (24.0 per game) and 10th in total yardage (363.5 per game), while posting the second-fewest penalties (243) and penalty yards (2,043), seventh-fewest turnovers (69) and the ninth-lowest interception percentage (2.4) in the league. Koetter was part of the Falcons staff that went 13-3 in 2012 and played in the NFC Championship Game. Under Koetter, Falcons quarterback Matt Ryan posted the three of the four highest passing yardage seasons in franchise history, as well as three of the five highest completion percentage seasons. In 2012, Ryan set franchise records and personal bests in passing yards (4,719), completion percentage (68.6) and passing touchdowns (32), while recording the second-highest passer rating mark in Falcons history (99.1). Atlanta wide receivers also flourished under Koetter, with Julio Jones setting a franchise record and ranking third in the NFL in receiving yards in 2014 with 1,593 yards. In those three seasons, the Falcons had a different player lead the team in receiving yards each season (Roddy White, 2012; Harry Douglas, 2013; Jones, 2014). While Koetter was in charge of the Falconsâ€™ offense, he coached three players to Pro Bowl appearances (Julio Jones, 2012, 2014; Tony Gonzalez, 2012-13; Matt Ryan, 2012), with Gonzalez earning first-team All-Pro honors in 2012. In his first season with Koetter in 2012, Gonzalez set a franchise record for receiving yards by a tight end, recording 93 catches for 930 yards â€“ the most he had recorded in either category since 2008. That same season, Jones and White combined for 2,549 receiving yards, the most by a duo in the NFL. Prior to joining the Falcons, Koetter spent five seasons as the offensive coordinator of the Jacksonville Jaguars (2007-11). In his five years with the Jaguars, the team cumulatively ranked third in the NFL in rushing yards (132.0 per game) and sixth in rushing average (4.41). Koetterâ€™s Jacksonville offenses also showed a penchant for taking care of the football, tallying the seventh-fewest turnovers in the league during that time. Koetter had immediate success in Jacksonville, with his 2007 team setting franchise records in points (25.7 per game, sixth in the NFL) and total offense (357 yards per game, seventh in the NFL). In his first season as the starter, quarterback David Garrard ranked third in the NFL and set a franchise record in passer rating (102.2), throwing a league-low three interceptions, while leading the team to a Wild Card playoff berth and a win over the Pittsburgh Steelers. In 2008, Garrard threw for a career-best 3,620 yards and in 2010 he tossed 23 touchdowns, a career high and a franchise record. While with the Jaguars, Koetter coached four different players to six Pro Bowl selections, including running back Maurice Jones-Drew, who earned three trips to the Pro Bowl and led the NFL in rushing in 2010 en route to earning an All-Pro selection. Koetter also helped tight end Marcedes Lewis earn a Pro Bowl berth following the 2010 season, when Lewis caught 10 touchdown passes, then tied for the most in a season in Jaguars history. Before joining the Jaguars, Koetter spent 22 years at the collegiate level, the final six as the head coach at Arizona State (2001-06). In his six seasons with the Sun Devils, Koetter led the team to four bowl games, posting a 40-34 record. Working as both the head coach and offensive coordinator, he helped Arizona State average nearly 30 points per game over six seasons, while ranking in the top 20 in the nation in passing offense in five of his six years. In addition, five of the six Sun Devil teams during Koetterâ€™s tenure produced a 1,000-yard receiver and quarterbacks that threw for 20 or more touchdowns in five of six seasons. Koetterâ€™s first head coaching opportunity came at Boise State, where he spent three seasons (1998-2000), finishing with a 26-10 record and two consecutive bowl wins. He was a two-time Big West Coach of the Year and two-time conference champion. A native of Pocatello, Idaho, Koetter played collegiately at Idaho State (1978-81), helping his team to a Division I-AA national championship as a senior. He graduated with a bachelorâ€™s degree in physical education and earned a masterâ€™s in athletic administration a year later. After getting his masterâ€™s, he became the head coach at Highland (Idaho) High School, where he worked from 1983-84, going 19-4 and winning the 1984 state championship. In 1985, Koetter worked as the offensive coordinator at San Francisco State and from 1986-88 was the offensive coordinator and quarterbacks coach at the University of Texas El-Paso. He then served as offensive coordinator/quarterbacks coach at Missouri from 1989-93 and offensive coordinator at Boston College (1994-95) and Oregon (1996-97). Koetter, 57, and his wife, Kim, have two daughters, Kaylee and Kendra, and two sons, Derek and Davis. Published: Dec. 30, 2018 at 03:59 p.m.
Tampa Bay Buccaneers defensive back Andrew Adams intercepts forced Matt Ryan pass. Tampa Bay Buccaneers wide receiver Chris Godwin battles his way into end zone for 19-yard touchdown. Published: Dec. 30, 2018 at 03:49 p.m.
Tampa Bay Buccaneers quarterback Jameis Winston finds wide receiver Mike Evans on rollout for 10-yard touchdown. Published: Dec. 30, 2018 at 02:21 p.m.
Tampa Bay Buccaneers wide receiver Chris Godwin tightropes the sideline for impressive 30-yard touchdown grab.